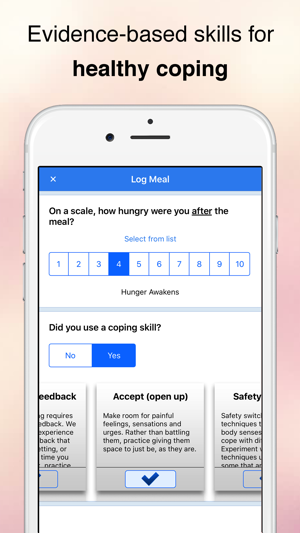 Recovery Record is the smart companion for managing your journey to recovery from eating disorders including anorexia nervosa, bulimia nervosa, and binge eating disorder. 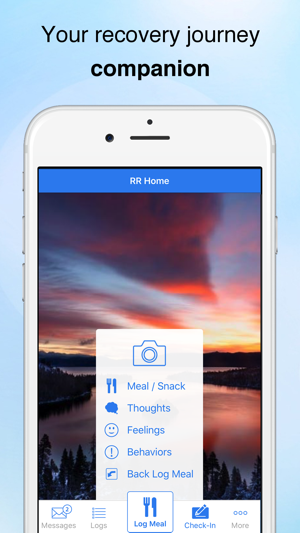 This app is also intended for people with general eating, weight and shape concerns. 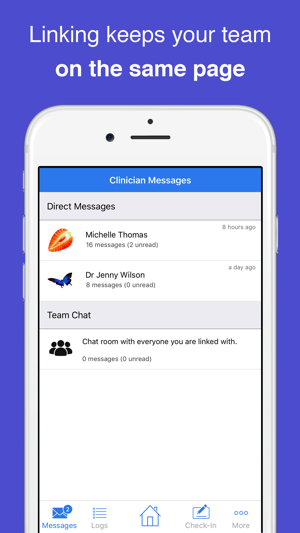 Use for self-help or link with your treatment team's Recovery Record Clinician App to stay connected, co-manage recovery and achieve your goals. Get started today by replacing paper diaries with the discreet and easy mobile App that connects you with the support you need in the moment you need it. Recovery Record may ask for access to your step count and heart rate data if you have a paired Apple Watch and are enrolled in specific research studies. Collection of this data is completely optional. 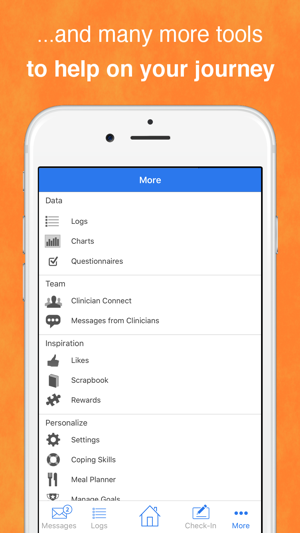 We integrate with Apple's Health App to achieve this. The data will be handled and used in accordance with data disclosure agreement of the research study. Me then I’m not 100% in it or am on that path towards recovery. Turned out to be more motivational I guess but it’s a great app and it’s FREE!!!!! Do the work and have the appropriate support necessary for your recovery and it will make a difference for you, I hope! A life App is here! I never learned how to properly eat and as an adult at age 51 it was time. What I was eating and not eating had taken it’s toll on my health. I learned through the words of a top notch a dietician that I have “disordered eating.” Essentially I have a diet mentality with all that I ate or restricted. These sessions with my Dietician are incredibly eye opening. I gained enough weight for diabetes type 2, neuropathy, horrific IBS, and a completely broken view of food. 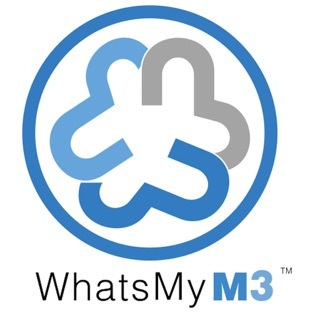 One of the most important tools that I was given the choice to use was this amazing app. I’m a huge procrastinator (except for my business).. especially when it’s anything to do with being healthy. Until now! 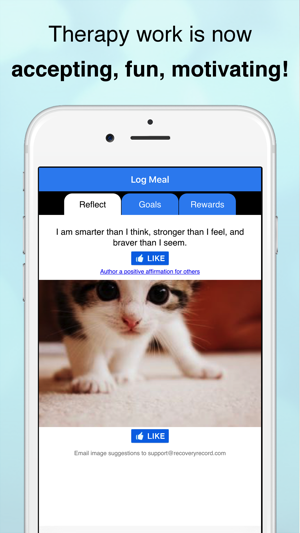 This app is simple, fun, thought provoking, wise, motivational and challenging all in one. It’s helping this food junkie completely change what, how and when I eat. It’s not restrictive and not a diet app. It’s a life app that is teaching me much more on a daily basis. This is unlike any app I have ever used. 5 stars and my highest possible rating for ease of use, reliability, and beauty.